With 19 different options for lunch and dinner the 120 serving entrée bucket will provide a variety of food storage meals that are easily prepared and taste great. 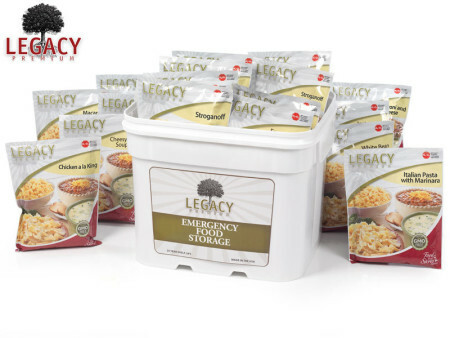 Cheap Treasures offers 100% FREE domestic shipping on ALL Legacy Foods and Berkey orders! A UPS tracking number will be emailed to you upon shipping so that you can track your order while it is in transit. For orders weighing less than 500 lbs, your orders will be shipped via FedEx to your doorstep in unmarked brown cardboard boxes for your protection and privacy.